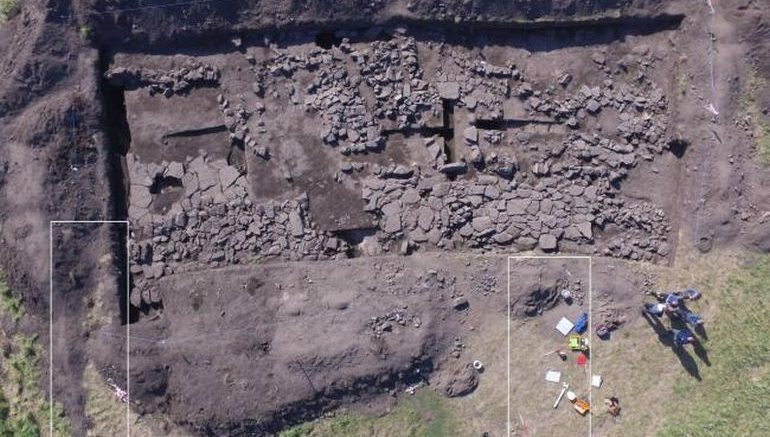 Archaeologists have come across evidence that hints at a massive building in Glebe Field, Aberlady (Scotland) dated from around 1,200 years ago. The evidence in question here points to the ruins of huge foundation works that were probably laid some time between 7th and 9th century – thus harking back to the Anglo-Saxon dominions in the British isles, encompassing most of England and southern Scotland. The excavation was conducted by the collaborative effort of AOC Archaeology Group and Aberlady Conservation and History Society. To that end, the presumed epoch of this structure was derived by radiocarbon dating of some animal bones that were found inside the parameters of the site. The researchers measured the spatial scope of these stone foundations, and the substantial area roughly corresponded to 130 ft by 66 ft (or over 8,500 sq ft). Judging by these numbers, the building in itself could have been a monastery or even a royal residence. Now from the historical perspective, Aberlady did lie on the medieval pilgrimage route between Iona and Holy Island. In that regard, the site is home to the highest concentration of Anglo-Saxon metal objects to be found in Scotland, including a piece of a 8th century cross. Additionally, the archaeologists have also identified other structural works, like a particular area being laid with paving while having an open ‘pit’ area in the middle. This specific ‘complex’ might have contained the stone-made construction of the original Northumbrian Cross with its figurative relief carvings. The researchers have also found an assortment of medieval workshops that dotted the surrounding area by the ‘largest’ Anglo-Saxon building in Scotland. However the experts have made it clear that they need to further investigate the site for more credible historical evidences that could point to the true nature of the main structure. In that regard, another expedition could be made to the Glebe Field by the end of this year. 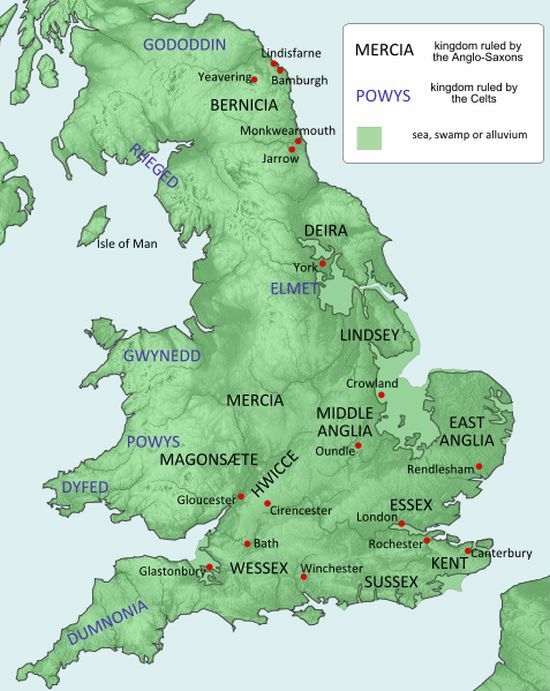 A political map of Britain circa 7th century AD.